Gamer is a 2009 science fiction thriller written and directed by Mark Neveldine and Brian Taylor. Set in a dystopian future where the worlds of entertainment and gaming have merged, humans play other humans to inflict pain or to experience pleasure in massively multiplayer online gaming environments. yU+co was tasked with using motion graphics to fully realize the directors’ vision of the future, creating environments, billboards, commercials, logos, graphic user interfaces, and an overall visual look where none existed before. 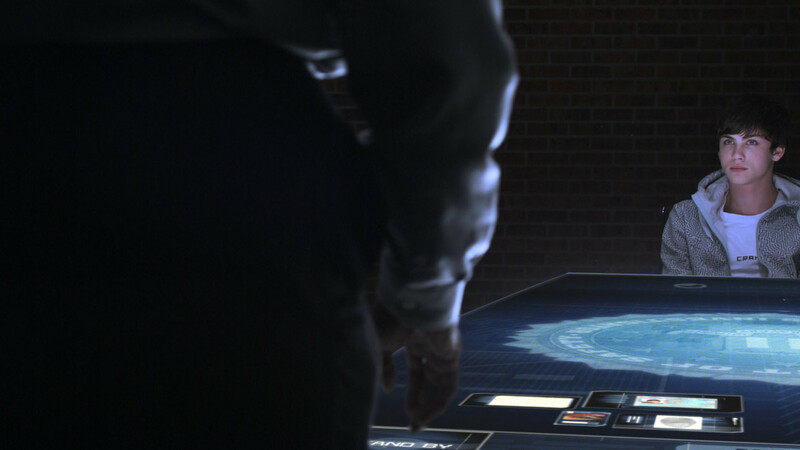 Within the film, computer graphics and interfaces are integral to the story and carry important story information. Additional graphics serve as set-design, painting a more complete futuristic picture than what the raw footage portrays. Although Gamer takes place in the future, we didn’t want to take the look too far from the context of contemporary life. We began with current popular culture and through our graphics, envisioned the future by building on existing technology. 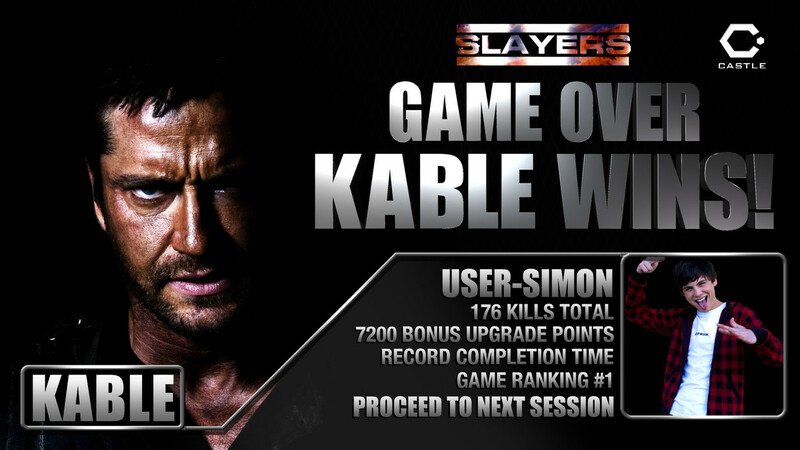 Slayers is an online deathmatch environment in which death row inmates are played as avatars. We created a Graphic User Interface to give the actor something to interact with as well as provide context to the onscreen action. In addition to GUIs, the world of Slayers needed a complete branding package for the many advertisements and pay-per-view broadcasts depicted in the film. Inspired by real world brands, Slayers' branding was designed to be slick, explosive and hyper masculine. 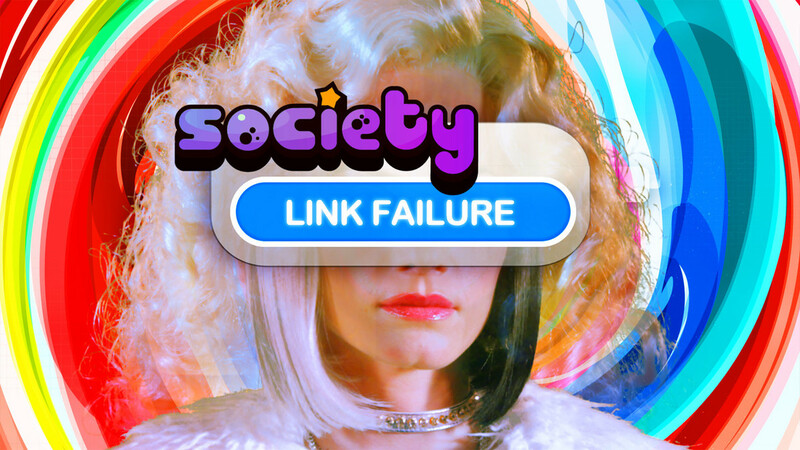 The other gaming world featured heavily in Gamer is Society, a life-simulation game similar to Second Life or The Sims. Where Slayers embodies a grim, violent world, Society is a virtual world filled with bright, vibrant colors displaying avatar tags, signage and advertising. The idea was to create an environment in which people indulge in their excesses, protected behind the façade of an avatar. Projecting into the future, those excesses were amplified and paraded in broad daylight by advertising pleasure-inducing products on signage and billboards. 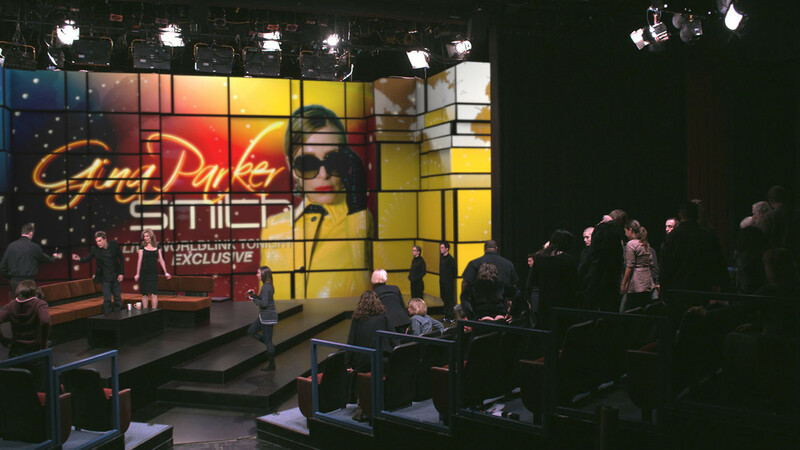 For The Gina Parker Smith Show, we created content for a giant video wall filled with constantly changing imagery. 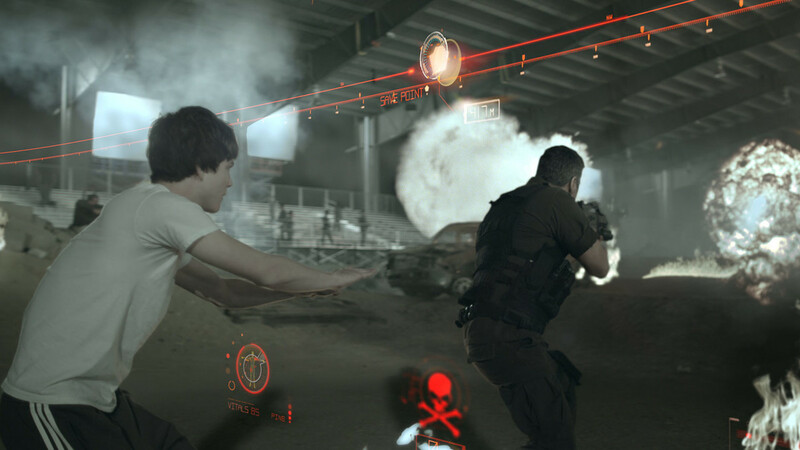 The video wall is used to illustrate the topics of conversation during the show, including footage of the controversial game Slayers and later a motion graphics sequence to show how nano-technology turns humans into playable avatars. It was also necessary to create the graphics package, logo and branding for this fictitious TV show. Another major undertaking was the design of a computer operating system for a computer screen that encompasses the entire room from floor to ceiling. It is from here that teenager Simon, the super star gamer of Slayers, controls his prison inmate avatar Kable. Looking to the future of 3D motion controlled interfaces; our design for the interface is a fully immersive environment with graphics spread out in 3D space surrounding the user. The 360-degree screen houses games, music, movies, photos, video chats, everything else a teenager would access from his computer.